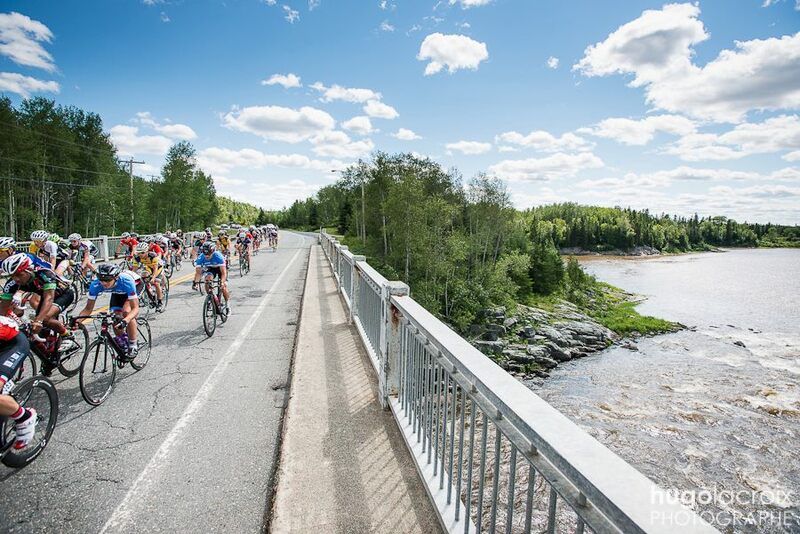 Tour de l’Abitibi Stage 7- That Pretty Much Wraps It Up! 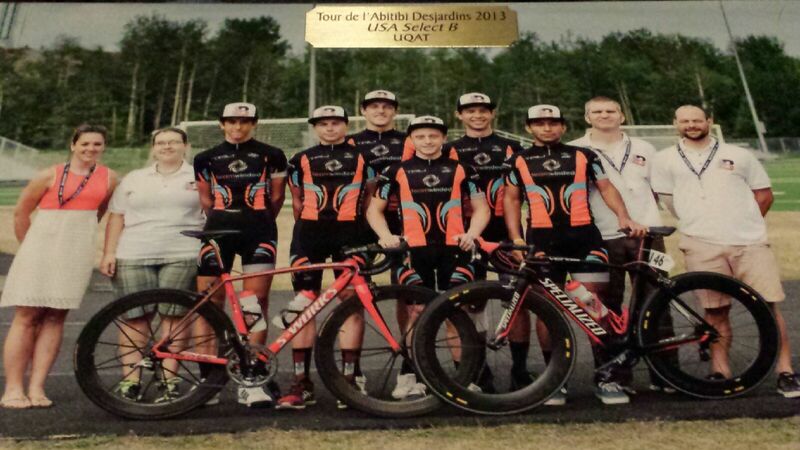 Today was the final stage of the 2013 Tour de l’Abitibi and it was as fast and hard as I thought it was going to be. One thing you can count on for sure is the crazy Moroccans will be attacking every chance they can get and both the Canadian and US National squad would be driving the peloton as fast and as hard as they could possibly drive it. I started the day in 29th place in GC and was actually surprised to see I had dropped a spot since it was a pack finish, but it made sense when I heard the middle of the pack got off the gas coming into the finish which caused a 2 second gap. 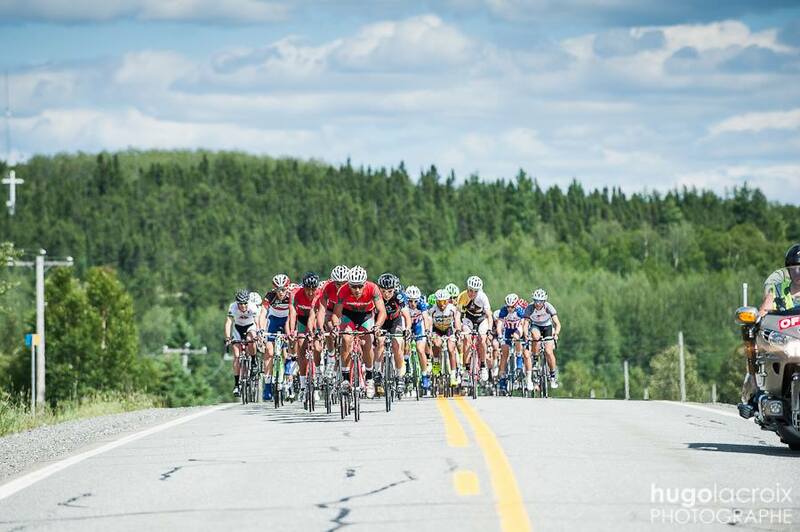 Cool little strategy to buffer time in a stage race that I learned the hard way. Anyway, I was determined to race super aggressively today and gave numerous attempts at breaks during the day only to get reeled back in by the national team and team Canada. I have to say, I was pumped to be giving it a go with the heavy hitters and even more pumped about feeling good when we had the entire peloton strung out single file as guys popped one by one coming into the finishing circuit. The race itself was broken into two portions. 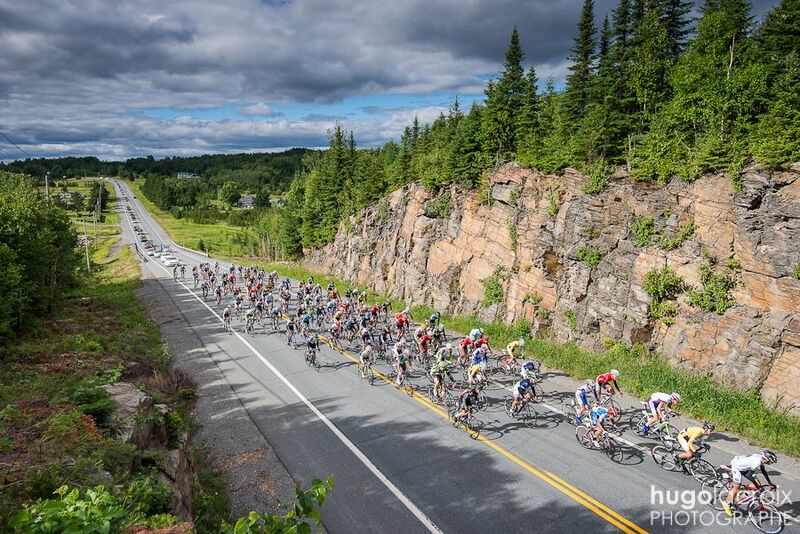 The first leg of the race was 45 miles on the highways and back roads of Quebec and then finishing with 10 laps on the finishing circuit to close it out. 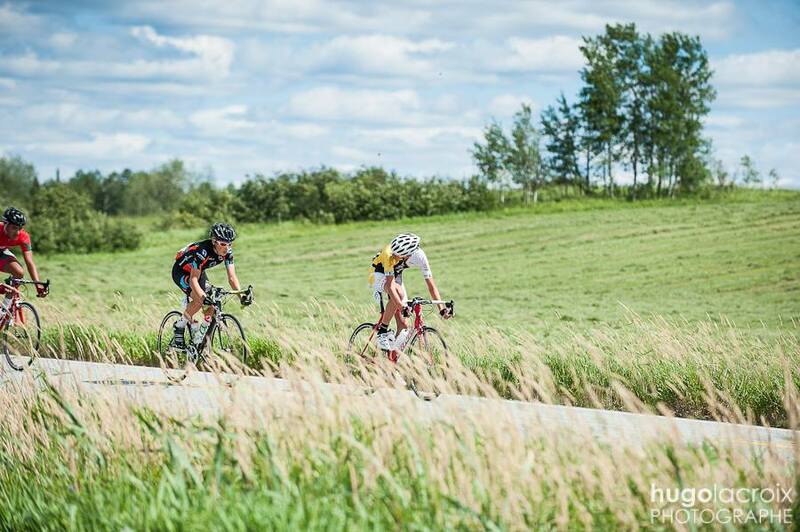 In the end, it was a pack finish (what was left of the pack) with my final GC standing moving down to 25th overall. Even cooler was our team finished 1st today in the team placing for the stage and 6th overall in GC, so that was really cool! We straight up beat the USA National Team and Canada, the two major players of the race today. 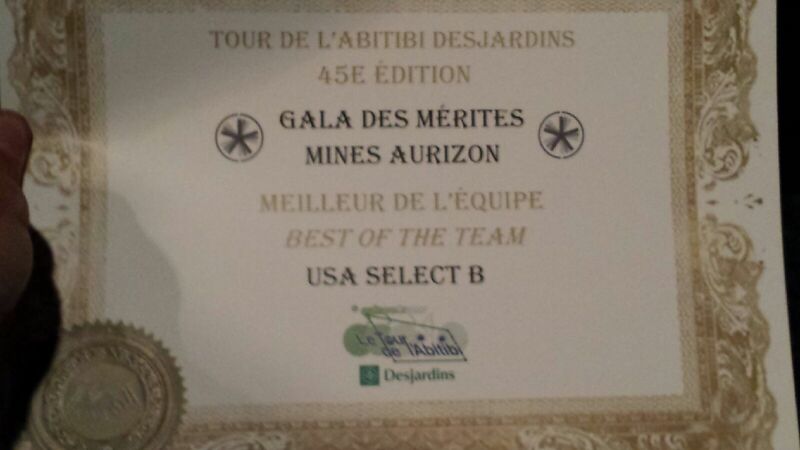 I also received an award at the closing ceremonies for the best placed rider for our team and I ended up finishing 10th overall in the best young rider classification. Now here’s the thing, I’m the youngest top finisher, but I don’t qualify for the best young rider award because that is for every rider who is 17 years of age. So I’m not bragging, I’m just proud that out of all the racers under the age of 18, I placed 10th overall and #1 for 16 year olds. That was one of my big goals I set for myself and to hit it was a big accomplishment. However, I also set my sites on a stage win, a top 10 overall and #1 for best young rider, but hey 1 out of 4 isn’t too shabby for my first big stage race. I also know what Im after next year, so I have that to look forward to. That pretty much wraps it up for Quebec. I leave tomorrow morning at 5:30am Quebec time and will arrive in Kansas City around 3:45pm. I really doubt I will even go to bed tonight since it will pretty much be pointless. 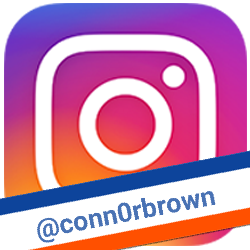 In the meantime, Im off to go and get some dinner with the guys. Ahh, finally some real food!